theory: food crisis & Black power. 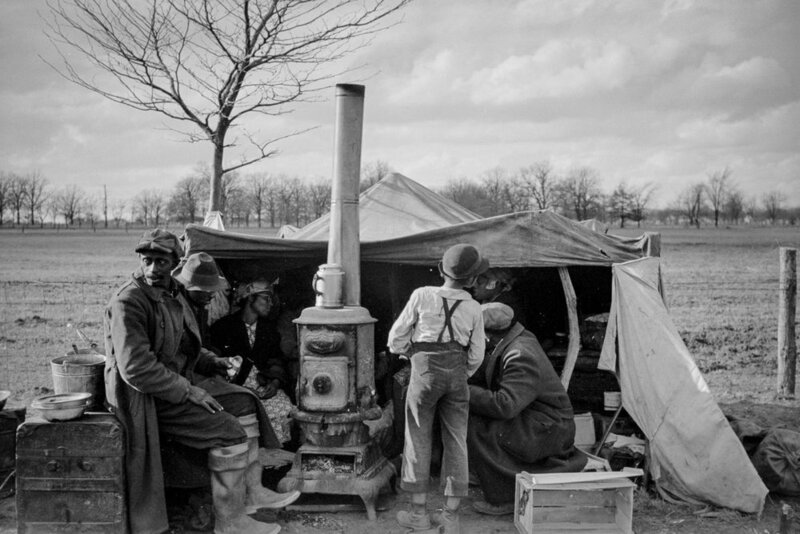 Black communities have a long history of resilience, self-determination and deep historical roots in Black food security, production and culture- from farming, to developing systems of distribution, cooperatives, to shaping the culinary traditions of foodways nationwide, to production and a wide array of food businesses. From natural healer Dr. Alvenia Fulton to Fannie Lou Hamer’s Freedom Farm Cooperative in Mississippi and the Federation of Southern Cooperatives work protecting Black farmers to national influences such as the Nation of Islam’s work (How to Eat to Live) to the revolutionary survival work of the Black Panther Party, we have a long, rich tradition of Black food security and collective Black food justice and healing work that is often made invisible by mainstream omission. Considering Black land loss, reduction of Black farming, excessive junk food marketing in black communities coupled with reduced access to healthy food infrastructure in urban and rural black communities that paradoxically exist with hunger and high rates of food related illnesses such as diabetes and heart disease, we are in a critical time and trend right now. This trend is increasingly exacerbated by a growing distancing from land based culture in black communities that is perpetrated by racist policies within the USDA and related financial systems who have historically made access to land out of reach for many communities of color, and specifically black farmers as recently revealed through the Pigford findings. Because of the urgency of our conditions, disenfranchisement, continued exploitation and exclusion from our food system, it is critical to reclaim, lift up and strengthen the abundance of Black food and justice work nationwide. strategies for food as Black liberation. Organizing: The engagement of black communities in organized struggle is exponential, with numerous historical examples including but not limited to slave uprisings, marronage, civil rights organizing, black power platforms, and continues today with the prominence of the movement for black lives #blacklivesmatter efforts. Still years of institutionalized and systemic anti-black racism have eroded the infrastructure of black led social justice organizations, and the black organizing base. Transforming society requires deep and sustained ideological and strategic mass based organizing, and those tactics have always been at the center of confronting and shifting power shifting in black communities, emerging the collective wisdom of the grassroots into strategies that uproot and dismantle systems of oppression.We believe that centering a transformative organizing approach allows for the creation of a long term strategy that not only transforms systems and structures but further transforms society by shifting the way we exist in the world. Building Visibility: The work of Black people in food and land justice is deep and plentiful. Yet too often our work, voices and visions go ignored, unheard, underrepresented and or co opted by others. We know that Black narratives around food and land exist and help to deepen our collective understanding, affirming that Black liberation is intricately connected to land and our means to community control of our food systems. Seeing ourselves reflected in this work is critical to our sustainability, connection and growth, as well as our strategies, innovation, and our ability to develop leadership that can push positive social change. We see raising visibility via mapping Black food and land work, resources, and strategies as a means to connecting Black people interested in entering this work with resources to do so, in addition to investing in basic infrastructure to build out self-determining food systems and economies. Re-framing narratives around black food and land via our historic struggles and our own family histories (documented and told through our own lens) deeply transforms the relationships our people have with food and land. In this process, we expose anti-Black narratives, lifting up liberating food histories, and increasing visibility of our campaigns and work. Changing power dynamics that historically represent inaccurate and dis-empowering narratives around Black people in food and land is part of the current paradigm we seek to shift and doing so is a critical step towards reclaiming our histories, building black self-determination and ultimately Black Food Sovereignty. 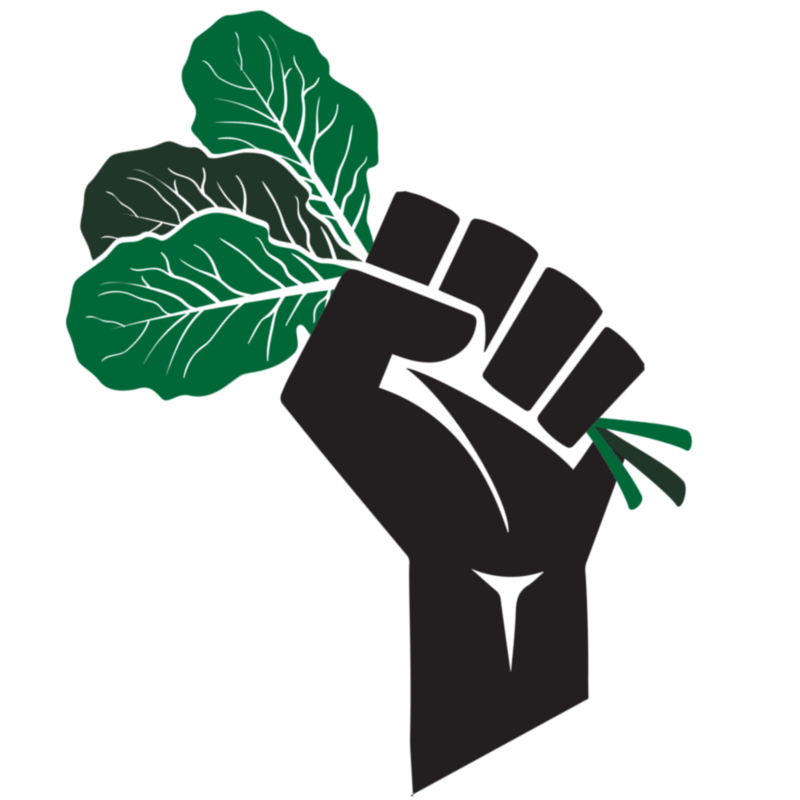 Institution Building: The National Black Food and Justice Alliance continues the tradition of Black institution building by creating an organized framework for collective visioning and action around food and land issues impacting Black people. We know that one of the most effective strategies for building power in our communities is creating and maintaining institutions dedicated to the work of building Black organizations and investing in Black leadership, strategies and innovations around food and land. Doing so builds Black food security infrastructures that have the capacity to identify issues and develop/implement strategies that systematize solutions to Black food and land struggles. Examples include creating and improving an infrastructure for local, regional and national systems of distribution. The development of these systems allows for Black food grown to get to Black plates in a way that circulates Black wealth and resources in Black communities leading to less extractive and more self determining food economies. When we engage in building institutions that center our struggle, leadership and solutions we ultimately create entities/space that can allow for the building of our collective power and advances our work in ways that are strategic, aligned and rooted in our collective and historical wisdom. Direct Action: Power concedes nothing without demands, and further demands without action yield little if any concessions. Direct Action has been a critical strategy for advancing social movements throughout history, and further black leadership in direct action has contributed to the archive of tactics available to those who lead and engage in direct actions strategies across issues and throughout the world. Boycotts, blockades, occupations, sit ins, strikes and all forms of disruptions “create such a crisis and foster such a tension...as to demand a response.” MLK, Letter from Birmingham Jail. We affirm that transformative organizing that utilizes direct action strategies becomes more effective at confronting purveyors of oppression. Additionally direct action forces a shifting in power from those who abuse it to those impacted by oppression. Building the capacity for community to engage in tactics that demand clear mechanisms for accountability and restorative/transformative justice allow for deep healing and change. We believe direct action tactics to be rooted in our collective healing as black people who experience institutional, and interpersonal violence on a daily basis for its ability to provide tools of resistance. Togetherness Space and Emerging Collective Wisdom: Our work is rooted in connecting our hearts and whole selves in creating political space together. Too often work is dominated by white normative ways of being that privilege only fragments of ourselves. We come to this work rooted in love, leading with our hearts, guided by our intellect and standing on the shoulders of our ancestors’ wisdom. We create intentional space to allow for healing and the means to bring our full, whole, healthy selves into space working together. Sovereignty as the ultimate goal cannot be achieved without confronting the question of governance. We work to ensure that Black people have not only the right, but the ability to control of our food, through means including but not limited to the means of production & distribution. Governance of food systems must be rooted in the right to healthy & culturally appropriate food produced through ecologically sound & sustainable methods, and the right to define our own food & agriculture systems. Even in naming our rights, we know we will not enjoy any rights which we will not assert through action. Shifting from an exclusively rights-based framework to a framework of governance & community power centers the needs of those working and consuming at all points of the food chain, over the demands of corporations & markets. Historically affirmed by leaders, including Malcolm X, land has been the root of dominion and as such is the root of revolution and self-determination. Displacement pre- and postc-olonialism continues to deracinate our ability to take root, reclaim, liberate exploited land and call it home. Our connection to, relationship with and access to land is an essential source of our healing, power and ultimately our liberation. As land based indigenous people, Black communities have a deep connection to the earth with land as a source of spiritual, economic, cultural and communal grounding. We work to build healthy, ecologically sound connections to the land in all its manifestations.